The Afternoon Tea and Craft Fund Raiser on 29th July 2015 in Brenda’s garden was a great success and raised £650. There was over 30 people who came along and were very eager to get down to making decoupage boxes, stones and tins having a break for refreshments. 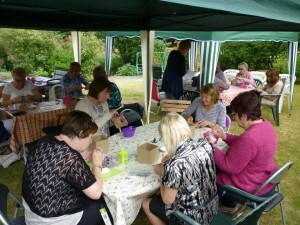 The comments that were heard was “what a lovely way to spend an afternoon, meeting people and making new “friends”. So a BIG THANK YOU to Clare Stokes, Jess Peyton-Jones, Ruth Wheeler and Valerie Adams who helped to organise it, make sandwiches, baked cakes and served. Great response to funding appeal with supporters giving several years’ worth of donations in advance. This means we’ve been able to provide funds to Chrissie in Kenya to move more quickly in completing the outstanding work on the Resource Centre. 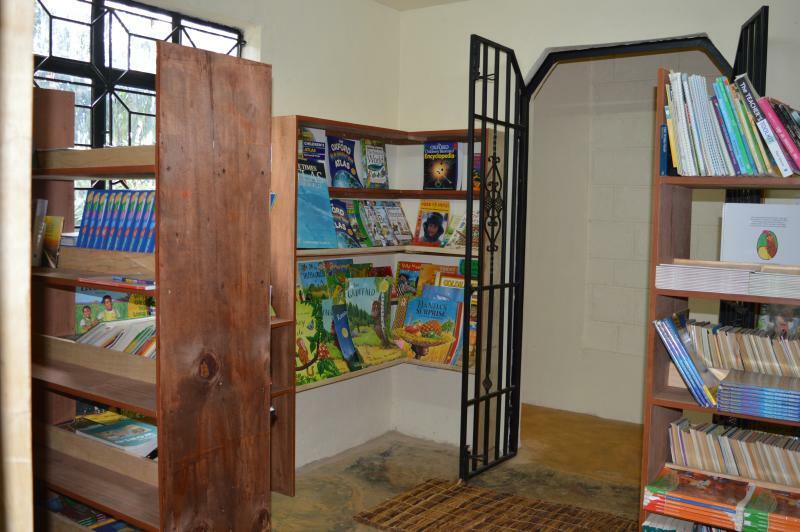 With all the facilities completed this will enable the Centre to increase its income and become self-sufficient sooner than otherwise expected. If you feel able to advance your future planned donations please contact Brenda. This additional funding now will be much appreciated and see the projects completed and fully operational in time for the French Embassy to launch the projects that they have sponsored on November 5th 2015. Reading Project: The French classes’ project held in the Craft room and in schools is now underway with sponsorship from the French Embassy obtained for one year. This combined with the general reading work reported last month is producing benefits in the community but does need help with more books please! The Craft Room will also become a non-lending Library, a place where the locals can come to read and study. This room needs shelving and a lot more books. 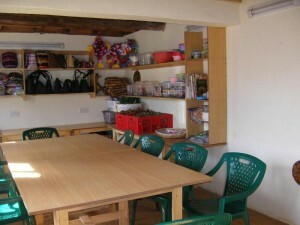 Various groups are using the Craft room including the Stress Free Group who are very impoverished. Most are widows, some have dilapidated houses and some are being pushed off their land by family members. A Knitting project is planned for them and for the youth, whilst single mothers are hoping to start jewellery making, flower decorations and even tailoring once resources allow. Can you help in any way? The recent heavy rains have caused a few flooding problems, even though we collect the rainwater for daily use and irrigating plants etc. The overnight deluges have damaged fencing and is very noisy on the tin roofs. The Peacemakers’ youths are hoping to construct a small pond for fish in the shamba, at the bottom of the site, where the water collects. We are also growing much of our own food with some left for selling. We have greens, maize, tomatoes and passion fruit. We have also planted an area for a tree nursery. We will use this produce in the Community Restaurant, including the Chickens and Pigs that we are rearing. Building Progress: The Community Restaurant roof is now complete it looks great. Kissimani House is now secure, important as there have been reports of break-ins recently. We now ‘need’ a bread oven (note the pun!) for the Bakery and a proving cabinet. We are also going to require all the other bits and pieces necessary to serve the restaurant and catering for weddings, which currently take place on the site utilising the Prayer House and gardens. When we can supply the catering, it will be a great bonus in helping the resource centre become self-sufficient! Still to be completed are the Clinic, Craft room and porridge mill / fruit juicer room. Cyber café; we still need an experienced IT man + computers / laptops. Some Small repairs need to be made to Kissimani House. 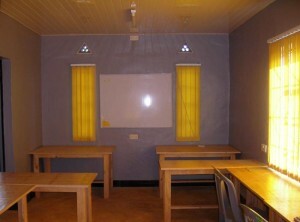 The Watchman’s hut is now complete and in use. Welcome to the Peacemakers Christmas e-bulletin. With so much bad news in the world, we hope we can lift your spirits with news of the great things you’re helping us to achieve in Kenya. With all the promise and support given at the end of last year, 2015 has turned out to be a challenging but very rewarding year! 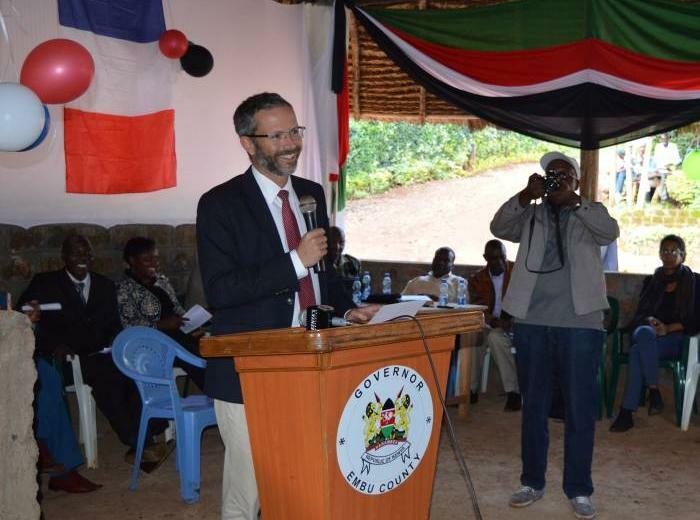 The projects that the French embassy in Kenya contributed to or sponsored, were finished on time with a mammoth effort from Chrissie and the Kenyan Peacemakers team. The French ambassador to Kenya (above) came to the inauguration ceremony of the I.T. training room, non-lending library, study room, craft room, reception and disabled washroom, on the 5th November. We’re hoping that the Grand opening of the whole facility will take place in 2016. If you’re able to come along please stay in contact to be advised of the details. It will include the opening of the Restaurant, health Clinic and Cyber café which are just waiting to be furnished with equipment! These added fantastic facilities will help to further education, equip and empower the local community to becoming even more self supportive, leading to less poverty, healthier and happier lives for young and old. Christine relaxing for five minutes! To See more photos of the new facilities, click on the "Photo Galleries" menu item or clicking here (this will open a new tab!). We are so thankful to you all, our friends and supporters, who’ve helped us to achieve these wonderful results in these financially difficult times. Helping the Kenyans work their way out of poverty with these great facilities for their health and education, not to mention fostering a great community spirit! Let’s thank God for his blessings and allowing us to continue being part of the answer to people’s needs. A Happy Christmas and prosperous new year to you all. From Brenda & the team. 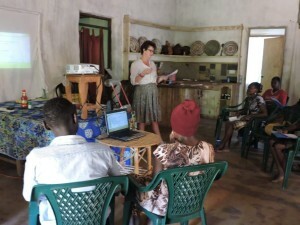 The Dennis Marshall Foundation (DMF) is an inspiration to all, not least the local Kenyan community. They have responded well to become deeply involved in building and developing the final phases of this project under the guidance of our site director Chrissie Gibbard, but we need more expertise and additional funding. Those who visit are overwhelmed by the impact of the project and easily become immersed in the works and activities that take place. The reports below give you a flavour and a list of projects or items that need funding. Liz Darlington’s visit; Liz and her daughter Emma picked up the vision at a Peacemakers event and raised their own funds before travelling to Kenya. 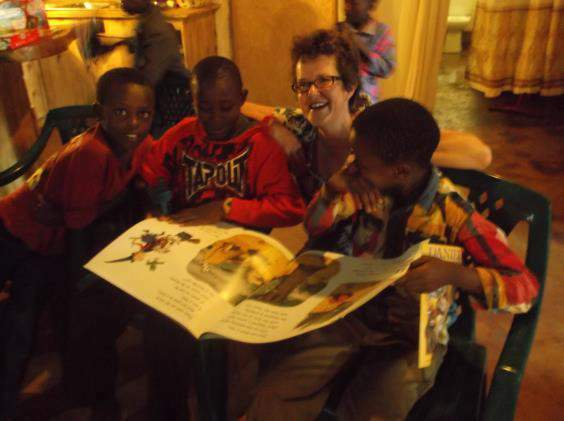 They had a wonderful Kenyan welcome and an exhilarating experience working with the community and helping with the reading programme for the young school children. They also met the HIV ladies who get together to knit and were delighted with balls of wool that were brought over. They met the team working in the nursery growing trees and plants which are sold to raise funds and they enjoyed working alongside the building team who are completing the work on the restaurant, cyber café and craft room. They treasured the experience and were blessed to be in such an inspiring and beautiful place. 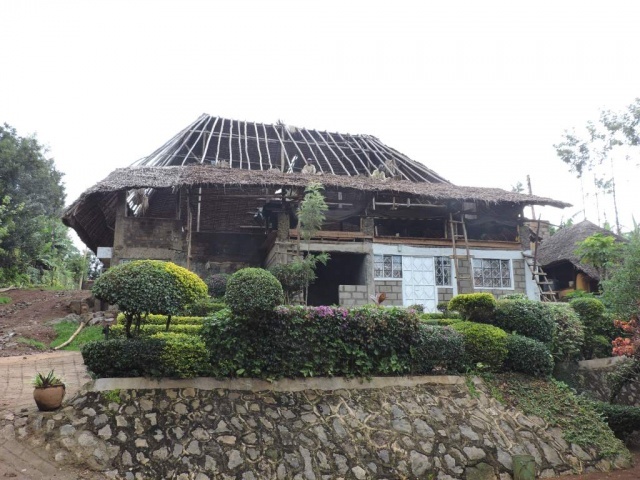 Chrissie’s Building Progress Report: Kaka Boniface, who is the foreman on site, and his team have made excellent progress with the roof of the main community building and the internal brickwork and plastering. 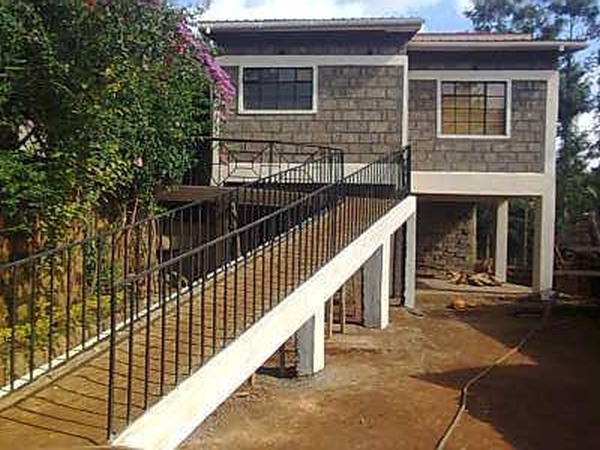 A Study Room, Library, Disabled shower/toilet and Reception area will be incorporated within the building and as a joiner Kaka will then complete the furniture. The Craft Room is in use already but needs shelving and storage. The room for the Ouji Mill (it makes a kind of porridge from a cereal crop) is ready for windows and door and we need to add a sink etc. The Community Café has begun but needs the roof completing and floor concreted. 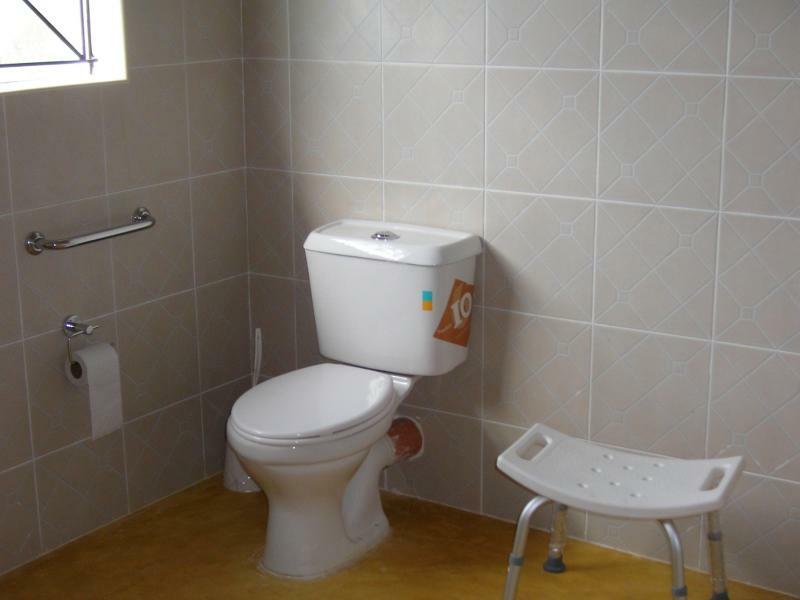 Kaka will build and fit the kitchen but all the equipment and chairs will need to be acquired. Activities at the Centre : The Craft Room is now operational but Chrissie would welcome more materials to develop the activities there. Wool for the HIV knitting group is always useful especially green for local school uniform jumpers and if anyone had a knitting machine no longer required this could be refurbished by TWAM (see below) and sent out. 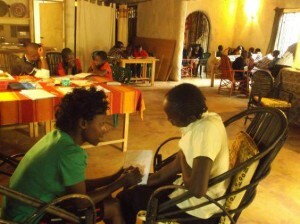 There is also a Women’s Coop Group who meet to support the poor, a Prayer Group and the bi-monthly Minister’s meeting. Local groups often meet outside under the Mango tree except when it rains and this can be really heavy. The rain water needs to be collected and more piping and tanks are required to save this valuable resource. Community Support: There is much being done to support the local community including the poor, the widows and the disabled. 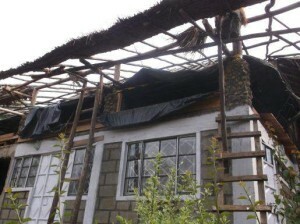 Small items of clothing, shoes, blankets and medical items are provided but funds are limited. Children suffer with ‘jiggers’ a worm that enters the feet can be very debilitating but can be cured if treated early. We are also supporting a boy who needs a cornea implant and another who needs an operation to remove a growth on his head. There are many disabled who need guidance with the paperwork to get help including one young student whose father was murdered last year and whose mother struggles with arthritis and scrapes a living selling avocados and bananas. 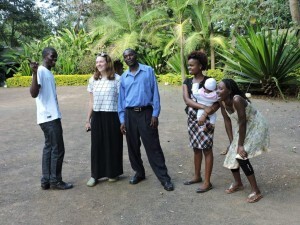 There is also good news about some of our UK sponsored students who have graduated and are now making their own way. We are hosting a National disability forum in June to bring forward many local issues. Animals and Plants: In the grounds we have pigs, sheep, rabbits, goats, ducks, chickens and beehives all helping to provide food or funds for the Centre. In addition we have a tree nursery which has become a popular place to buy seedlings. One of the disabled boys helps to graft passion fruit trees, tomatoes and avocados. A greenhouse is needed for more delicate plants and to extend the range of vegetables. 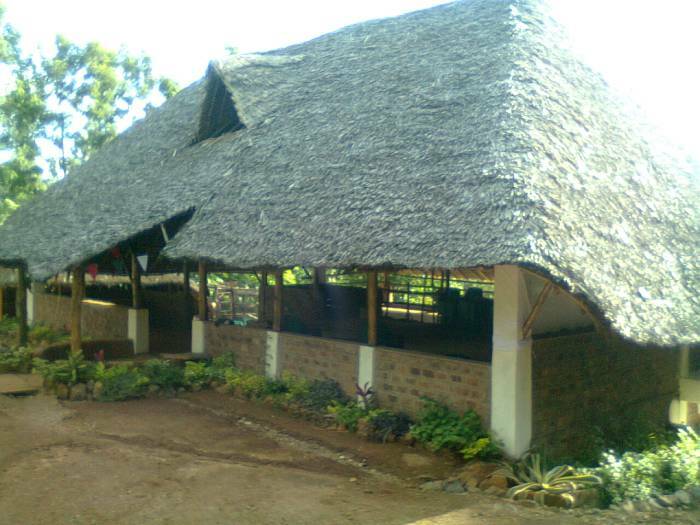 Cyber Café: We are asking the local mobile phone provider, Safaricom, to sponsor our Cyber Café but will need computers for it. We are looking for anyone with IT skills for help set up on site or advice on how to equip it. Reading Project: This is Chrissie’s priority following the French Embassy’s sponsorship last year. This is for the young school children and 10 youths have been trained to help the poorest readers. We have a small collection of graded books but need more. Can you help? TWAM: UK based – Tools with a Mission, refurbish tools and machines free which are then transported in a container paid for by Peacemakers. This is a great help and if funds allowed it would be good to continue. CAN YOU HELP IN ANY WAY ? 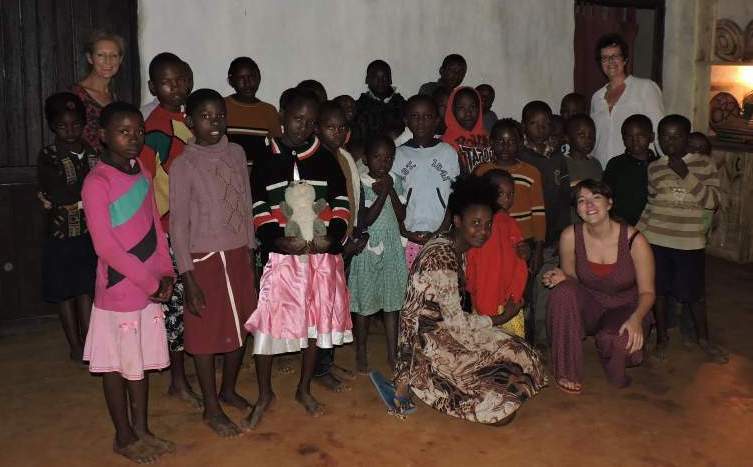 The following is an article By Liz Darlington , who along with her daughter Emma, spent two special weeks volunteering in Kenya at The Dennis Marshall Foundation, Peacemakers International during Easter 2015. If you can cover the costs of your airfare and would like to volunteer with us, please contact Brenda for a chat. It’s an opportunity you won’t regret. 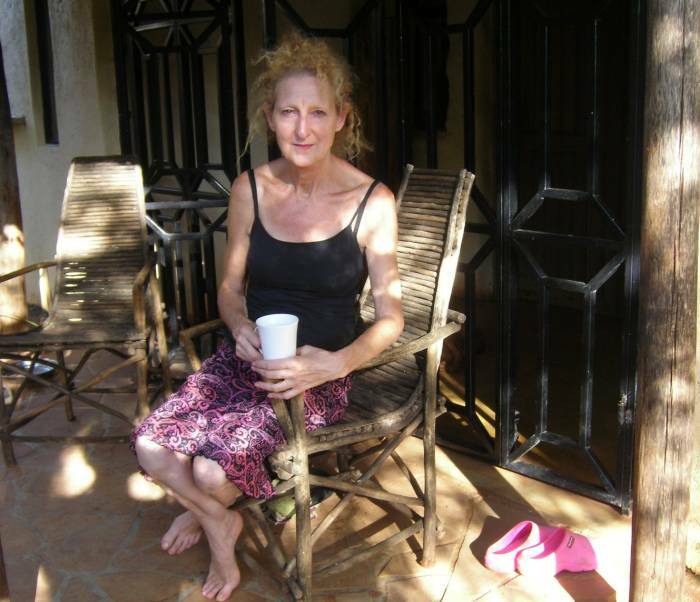 When a random conversation with Brenda`s daughter Kim, last year, leads to an offer from Brenda to visit The Peacemakers International charity project in Kenya it was too good an offer to turn down! At Christmas my daughter Emma, and I met Chrissie and straight away we knew that this trip was meant to be and we had already started planning our “projects” on the journey home! So with weeks to go we got more and more excited in anticipation of what lay ahead…and we certainly weren`t disappointed! Firstly the welcome we received was truly amazing, Chrissie is just the perfect host, so generous and so caring and such a special person. The Kenyan people share her gratitude and warmth and we were greeted everywhere we went with smiles, waves and shouts of welcome! It was humbling to see just what is being achieved out here at The Dennis Marshall Foundation, supporting the local community providing jobs, support and fellowship to the young, old, disabled and needy. The buildings were in constant use and everyday there was somebody new to meet. Among the people we met were the HIV ladies who were so delighted with arrival of more balls of wool, the craft ladies who insisted we learnt how to make beaded bags, the Nursery team who are growing the most amazing plants , the cheerful cooking team and of course all the lovely builders so busy working on the buildings, the internet café, the craft room and the restaurant and with these in the process of being finished even more exciting times lie ahead. So then to our project, this was to support Chrissie as she introduces a reading programme to children from the local school. Forty six enthusiastic and very well behaved children came along to the centre over two days and twenty six of these we heard read as part of a reading assessment. During this time Emma also played drama games and encouraged the children to participate in a drama production of “Wangari`s Seeds of Peace “. 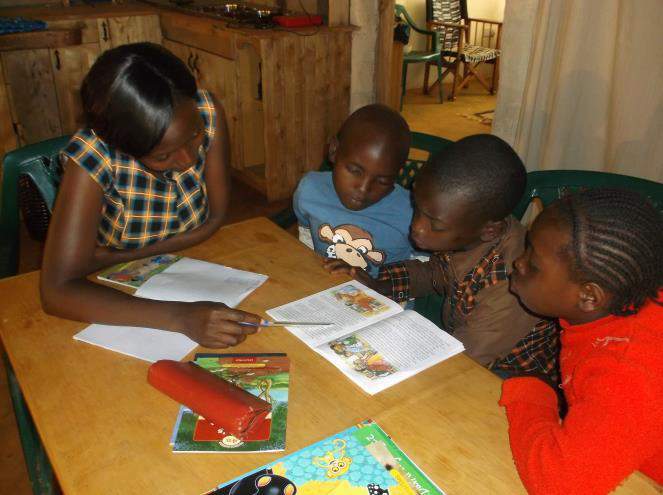 We also hosted two Saturday training days whereupon we showed local teachers and older youth how to support young children in their early reading skills. This is an ongoing project and we hope to keep in touch with how it is progressing and maybe even return to Peacemakers one day to see its impact. Our stay certainly proved to be as exciting as we`d hoped it would. It`s an experience that we will always treasure and we feel truly blessed that we were able to witness such a special and inspiring place and meet such welcoming people in such a lovely country. A huge thank you goes to all that we met but especially to wonderful Chrissie, Brenda and of course to Kim, for having that initial conversation with me!! Please Click Here to view the gallery of great photos Liz & Emma took.